Last night’s controversial red card decision – our expert referee speaks! 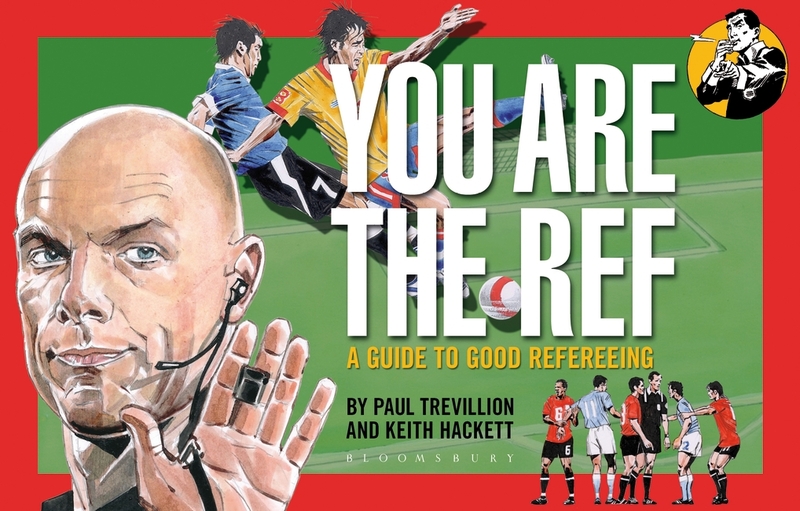 In light of the controversy surrounding the Manchester United v Real Madrid match last night and the sending off of Nani by referee Cuneyt Cakir, we asked Keith Hackett, author of You are the Ref: a Guide to Good Refereeing for his reaction. It makes fascinating reading, and raises a number of points not currently being discussed in the media. ‘There are clearly two standards of Law interpretation operating between English officials and the rest of Europe. In European games there is a lower tolerance level for the ‘raised boot’ challenge which will be punished with either a yellow card (Reckless) or red card if the Referee deems it to be serious foul play. English teams therefore have to adapt to these differences in law interpretation. If the challenge in the game last night was met with a swift yellow card no one would have complained. The referee however decided to give himself a lot of thinking time and may have consulted with his colleagues to receive their view before surprising the majority of spectators by issuing a red card. Our coaching of Referees at the top level is to advise that we do not want any surprises of this type, and UEFA continue to hold regular training camps for Referees. Through the use of video clips we aim to get uniformity of decision making involving all Referees. However, the question I pose is what homework did the clubs do on the Referee? If they had done their research then they would have understood the high probability of a red card from this referee in particular. He demonstrates great courage on the BIG decisions – that is why he is rated highly amongst his peers. Keith Hackett is a former international referee and now General Manager of the Professional Game Match Officials Ltd (PGMOL) – the referee’s governing body and, is the Referee Ambassador for the FA, Premier League and UEFA. Paul Trevillion, renowned artist and illustrator provides the stunning images. This entry was posted in Football, International Sport, Sports News and tagged Alex Ferguson, Champions League, Cuneyt Cakir, Football, Jose Mourinho, Keith Hackett, Manchester United, Nani, Paul Trevillion, Real Madrid, red card, red card decision, Refereeing, You are the Ref. Bookmark the permalink.